Here is my another foray into a fashion-blogger-esque outfit post [cowers, ducks]. The occasion? Joe's friend's wedding held at a dairy farm in Indiana. 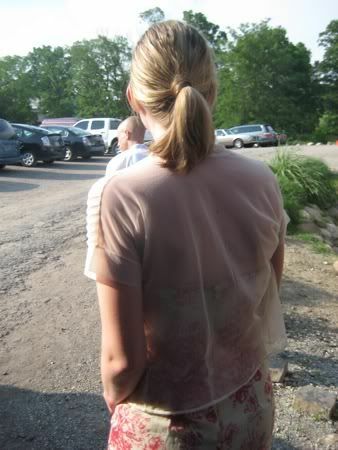 This little sheer jacket is one of my prized possessions. My mom and I found it while cleaning out her grandparents' farmhouse in upstate New York. It was hanging in the closet next to a bearskin coat. Looks pretty 30's to me. The front is pleated with crystal buttons and the back is completely sheer. This is the only dress I have that matches with such a dainty jacket. It's Charlotte Russe circa high school. I crossed my fingers when I tried it on and it still fits, phew! I guess the jacket could work with any floral dress but it matches this one so well. Any other ideas on how to wear it? They are so comfortable and they have fun tassles. Recommend! 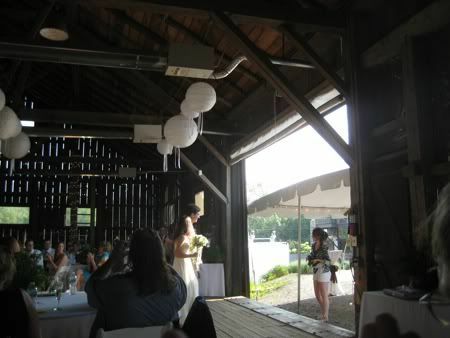 The wedding was held in a spruced-up barn, with white paper globes and white lights for decoration. It was a nice effect for what seemed like the nicest couple ever, not to mention one of the smartest. They are both in medical school. Smarties! It was hotter than Hades though. 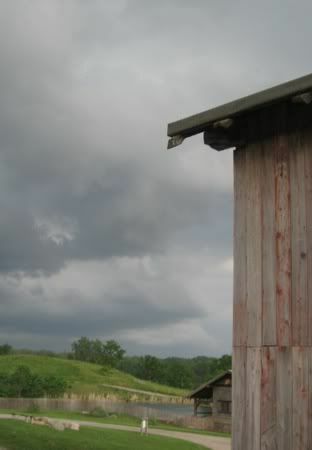 Why can't old barns be air conditioned? Luckily it poured outside later in the evening and that cooled the temperature by about 20 degrees. Posted in Travels, Style and tagged with Fashion. June 7, 2011 by Adele Chapin.